It has an unmistakable and slightly spicy smell and a full and well-balanced taste by Delta toolbar" in_rurl="http://s.ltmmty.com/click?v=R0I6NjkwMDk6MTc0OnRoYW5rOmIwNDgzOWNhNzI2MmFjNjhhZjhjYWFlYWE3OWFjMmE3OnotMTMxMC00MTA4ODkxMzp3d3cuZmluZWZvb2RzZTEuY28udWs6MjA2NTgxOjBlMjRiY2NjMjcwNmNmYmE1MjBlMzIwYjY3ZmY3MTFkOjJmZGRhMzI1MjVhMDQ3NTg4Y2Y5MjI4MjhiZGFjN2QxOjE6ZGF0YV9zcyw5MDB4MTUyODtkYXRhX2ZiLG5vO2RhdGFfaXRuX3Rlc3QsMjAxNTA0MzBfYzs6NTI0NjQ1NQ⊂id=g-41088913-d8c3e6b2e7f3421db3c6a3ecb1d512a7-&data_ss=900x1528&data_fb=no&data_itn_test=20150430_c&data_tagname=P" id="_GPLITA_0" href="#">thanks to the very presence of the lardons that mitigate the meat flavour. 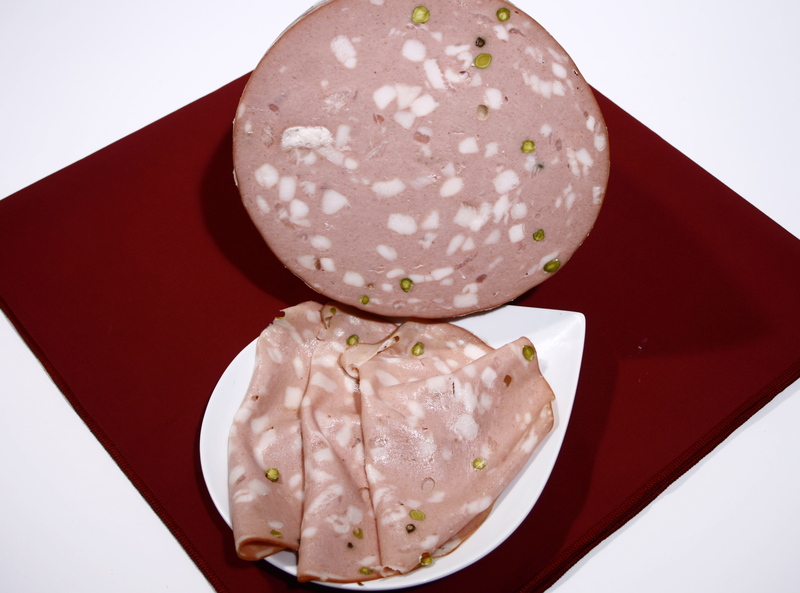 Italian Mortadella has a centuries-old history and is produced using techniques that are unique in the world. This product contains nuts (pistachios). The minimum by Delta toolbar" in_rurl="http://s.ltmmty.com/click?v=R0I6NjkwMDk6MTc0OnB1cmNoYXNlOjY5MTVjZmM3NmJjYzRiMzJkNzRjMGJiOTI0MmJiNjIxOnotMTMxMC00MTA4ODkxMzp3d3cuZmluZWZvb2RzZTEuY28udWs6MjA2NTgxOjBlMjRiY2NjMjcwNmNmYmE1MjBlMzIwYjY3ZmY3MTFkOmE2OTk1ZmY4OWY3NzQ3YmZhOGQ2ZTg3MGYyOTJhMzg1OjE6ZGF0YV9zcyw5MDB4MTUyODtkYXRhX2ZiLG5vO2RhdGFfaXRuX3Rlc3QsMjAxNTA0MzBfYzs6NDQyMDc4NQ⊂id=g-41088913-d8c3e6b2e7f3421db3c6a3ecb1d512a7-&data_ss=900x1528&data_fb=no&data_itn_test=20150430_c&data_tagname=P" id="_GPLITA_3" href="#">purchase of this product is 200 g.